What are the 10 best cards in Clash Royale? That’s up for debate in today’s Clash Royale article! 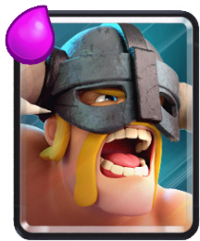 Clearly, elite barbarians and royal giant are two of the best cards in Clash Royale, but what are the other 8? You can read our May rankings here. 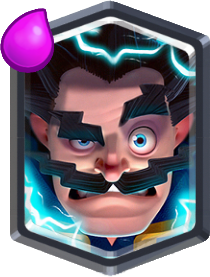 Ahhh, the electro wizard! Started off as a decent legendary card, but it has widely become a lot more used lately. It is an amazing replacement for the musketeer. While it doesn’t do as much damage, the zaps reset any unit’s attack. Great support and defensive card for only 4 elixir. Personally, elite barbarians are one of my least favorite cards in Clash Royale. Of course, that doesn’t mean that they are bad though. The reason I despise them is because they are so good. For 6 elixir, you can easily take out your opponents tower. The speed and the strength of the elite barbarians are simply unmatched in Clash Royale which earns them a spot in the top 10. 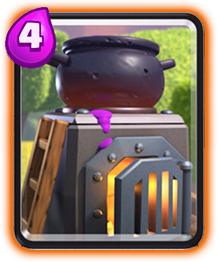 Besides elite barbarians, if there is a card I hate it is the furnace. Since the furnace deal constant chip damage to your tower, you simply can’t ignore it unless you want 1000 health off your tower. Also, its great to have in pushes, especially royal giant and giant where popular counter cards of minion horde and skarmy are easily taken out by the cycling spirits. 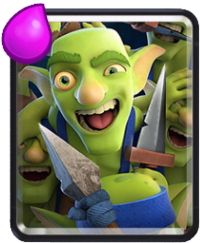 Other than the bandit, the goblin gang is the newest card in Clash Royale and one of the best. Originally, I thought that the gang would be overshadowed by the skeleton army, but that isn’t the case at all. Popular in cycle and zap/log bait decks, the gang can do severe damage if not counter. Also, its a great counter to the popular LavaLoonion strategy. Graveyard is hands down the best card in challenges and tournaments. That is because with equal level cards, it just can’t be stopped. 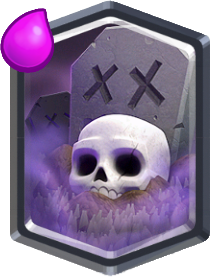 Good with miner and giant, the graveyard can do unparalleled damage if not counter. Popular counters of minions and archers can be arrowed or fireballed down to easily take out a tower. 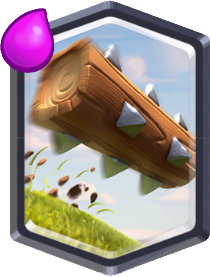 The biggest success story in Clash Royale, the log is probably the MOST popular card in the game despite being a legendary. For only 2 elixir, you get so much value it’s insane. It can push back massive pushes, as well as doing big damage. Also, it’s such an easy counter to princess, skeleton army, and goblin gang, all strong cards. Out of all the cards in the top 10 list, minions are probably the most boring, but that doesn’t stop them from being one of the most powerful defensive cards in the game. 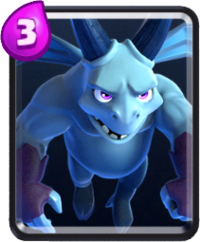 The 3 elixir air troop can take out most cards, along with being a good counter to most big pushes. Since they can’t be zapped down, it’s popular to throw these down on defense without being afraid of them going down. So I stated that my two most hated cards are the elite barbarians and furnace, but the most universally hated card is this one right here, the royal giant. But the royal giant is hated because it’s so good. The massive range allows him to outrange all defenses, which makes sure that he has extra health which he uses to deal massive damage upon your tower. Along with minions, I think that skeleton army is the best defensive card in Clash Royale at the moment. 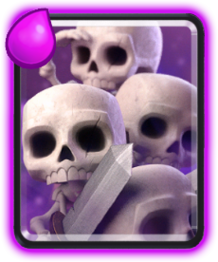 Without a zap or log present, the skeleton army will take out ANY card in the game, save the valkyrie. It deals massive damage due to the sheer number of skeletons, which allows it take out even splash cards like the wizard and executioner when surrounded. Lastly, we have one of the two most popular spells in the game. The zap received a nerf in damage but that hasn’t deterred it from still being a huge success. I carry both zap and log in my deck because they are so versatile. 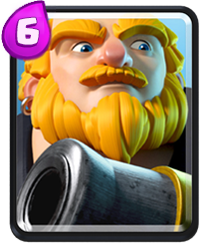 Forget about the easy damage, with zap you can reset a royal giant onto your defense or keep the hog from hitting your tower again. 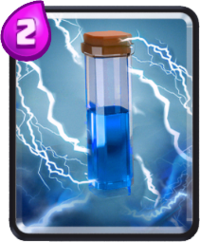 So that is going to do it for our top 10 Clash Royale cards rankings! Tell us what you think about our rankings in the comment section below. Thanks for reading and come back soon for more Clash Royale content! Nowadays RG, EBarbs and Furnace needs a buff. Skeleton Army is very weak now and Graveyard is probably the 2nd worst legendary. Minions also got nerfed recently………. The only issue is that its hard to judge exactly what the 10 best cards are because theres so many legendaries with unique abilities! Do you hate Elite Barbarians or Furnace more? Elite barbs but furnace isn’t that far behind! I don’t know about a joke as it will always have value, but yes, it has started to fall. Now that RG, elite barbarians and electro wizard were nerfed, elite barbarians were definitely still the main cancer, but was RG and electro wizard still good? Elite barbarians, furnace, goblin gang, skeleton army and graveyard had very very high status while electro wizard, royal giant, minions , log and zap are very versatile . Well, that was like May of last year. He has changed a lot and found a good spot in the meta. Both were awesome, which is better in your opinion? Skeleton army because it is a lot more versatile. Yup, some underrated cards were also very versatile too! Uh oh, supercell might just do that….. So in your opinion which legendary in this list is the best ? Is it E- wiz, the stunning wizard? the log, the most pathetic legendary before that emerge to the best? Or the graveyard, which everyone fears? I think golem is pretty strong right now! Yup, usually expensive stuff like barb hut and Pekka doesn’t always worth, but what golem’s main advantage is how tanky he is, basically TWICE the hit point as royal giant and he won’t get distracted to easily unlike pekka. And that’s why the 8 elixir cost worth. He’s pretty much in 75% of all decks of the top players right now! I’d say fireball, skeletons, hog rider, giant, and miner are all honorable mentions! For me it’s definitely the balloon, because I HATE the balloon due to the fact being OP with the damage, good health and the scariest part, 5 ELIXIR ONLY! Really good thoughts! What would you replace for Royal Giant and minions? Actually instead of inferno I’d take fireball. Inferno tower is still good though!